Saturday March 30th – 9.30am to 4.30pm. Fully booked. We will be running more of our beginners’ courses at this location from November this year. In the meantime, we are running them every few weeks in the Peak District and near Sheffield. These courses are all being held in the village of Tansley, near Matlock, Derbyshire. To make sure that everyone coming on these courses gets plenty of individual attention, they are each limited to a maximum of 6 places, costing £85.00 each. Please contact us if you would like to be emailed a booking form for these or any of our other courses. These one day courses are ideal for anyone who is new to digital photography, or who has been using their camera in the “all-auto” mode up to now. It doesn’t matter what make or type of camera you have – whether it is a compact “point and shoot”, a prosumer, bridge or mirrorless camera, or a digital slr – on these courses you will learn about the basic controls and settings that will help you get better, more creative photos. Everyone attending will receive a printed sheet listing the most important settings on their particular make and model of camera, what they do and – most importantly – exactly how to set them. You can see more about what is covered on our beginners’ level photography courses here. The courses are being held in the Village Hall, in the heart of Tansley village, and right next to the village green – with open countryside just a short walk away. 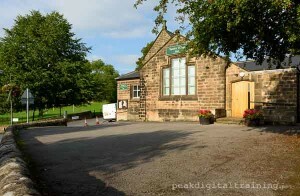 The attractive gritstone building was originally built in 1843 as the village school. It was extensively refurbished in 2014, and has disabled access and toilets. The room we will be using is also on the ground floor. We will have a computer set up in the room, so we can review the photos you take straight away. There is ample free car parking right outside – and for lunch (not included in the course price) there is a good pub just up the road – or you can bring a packed lunch if you prefer. Tea, coffee and biscuits will be provided during the day. Tansley is conveniently situated near Matlock for people coming from Derbyshire, Sheffield, Manchester or Nottinghamshire. You can see the location of the Village Hall and get directions on Google here. Please contact us to request a booking form, or if you need any further information. This course is the first part of our beginners’ level photography courses. In the second part of the course you learn how to start using your camera’s controls to get more creative results. 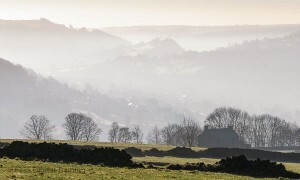 See here for details of the second part of our beginners’ digital photography courses in Derbyshire and Sheffield.